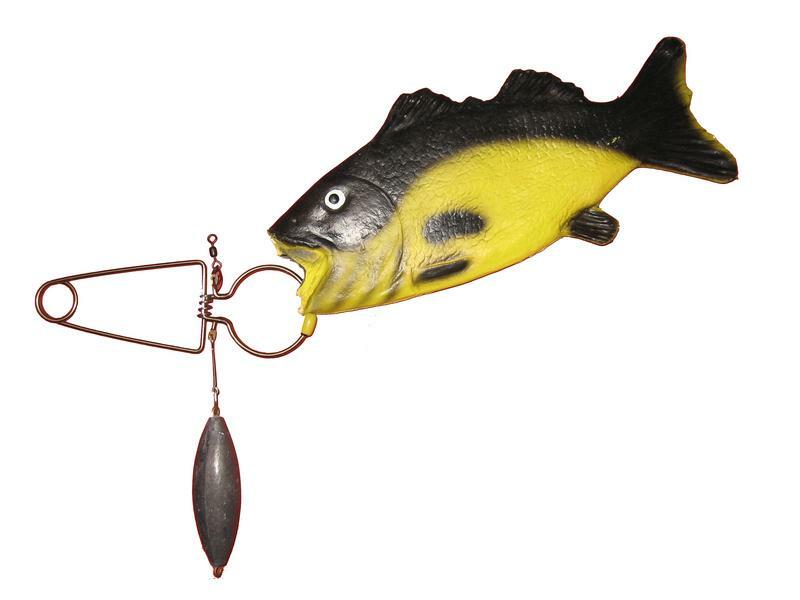 What is a RokLees Fish Descending Device and why would I use one? from barotrauma back to depth so that it can survive for another day. Attach line to upper tab of RokLees and attach 0.45k (1lb) weight to lower tab with rubber tip on the bottom. Open jaws of the RokLees and attach to the lower lip of the fish with the rubber tab on the outside of the lip. Gently place the fish attached to the RokLees into the water and lower the fish to at least 1/3 depth of capture or capture depth *. Jerk up on the rod once or twice to release the fish once it is at release depth. * Note: Do not release fish deeper than caught. the water, and more weight added as necessary. How do I maintain my RokLees? After each fishing trip, be sure to rinse in fresh water and dry the device. How do I set up my RokLees? up to 1.5kg/3 lbs. We use White line with a black mark at varying lengths. What depth do I release my RokLees? Depending on the depth you catch the fish, the depth to release them varies. From the biologist suggestions, release at 1/3 depth of capture or at depth of capture. Example, fish caught in 100M/300ft, we release at 43m/130ft. If you are fishing in shallower water you don’t need to go as deep. For example try releasing a fish caught at 30m/100ft at 23m/70ft. Or use recommendations of you local friendly biologist. Do not release fish deeper than caught. Can I release a large fish with my RokLees? We have successfully released larger fish by gently easing and supporting the fish by hand back into the water and adding additional weight to help the fish descend. If the fish does not descend, add more weight. Try an additional ,5k/1lb at a time until the fish heads down. We successfully released a 7k(15lb) CowCod by doing this and adding another .5k/1lb weight. Suggest having several additional weights connected with swivels on hand for quick and easy use if additional weight is required. The fish should be released as soon as possible. Marine biologist suggest within 2 minutes and no more than 10 minutes for rockfish. When fish are caught, they are rapidly brought to the surface, which does not allow the fish adequate time to equalize. This causes rapid air bladder expansion known as barotrauma (pressure shock). Fish suffering from extreme barotrauma have external symptoms like bulging eyes (pop-eye), pushed out esophagus and bloating. Typically, fish displaying these symptoms do not survive because they cannot swim backdown. Without intervention, a fish with barotrauma may die from the progression of its wounds or succumb to temperature shock or predators. "Floaters" - overly inflated fish that cannot re-descend on their own - are especially easy targets for sea gulls and sea lions. As a result EcoLeeser developed RokLees that successfully releases rockfish back to the bottom.